Three-part series, “Your Inner Fish” films at Washington National Primate Research Center. The show traces more than 350 million years of human evolution to show how human bodies have taken shape. PBS show is based on a book by paleobiologist Neil Shubin, who also hosts the series. Your Inner Fish is a scientific adventure that takes viewers from Ethiopia to the Arctic Circle on a hunt for the many ways that animal ancestors shaped our anatomical destiny. Shubin has spent much of his life searching for the deep pedigree of Homo sapiens. Using both the fossil record and DNA evidence, he traces various parts of our body’s structure to creatures that lived long, long ago. Along the way, he makes it clear that we can thank our fishy origins for many human characteristics. 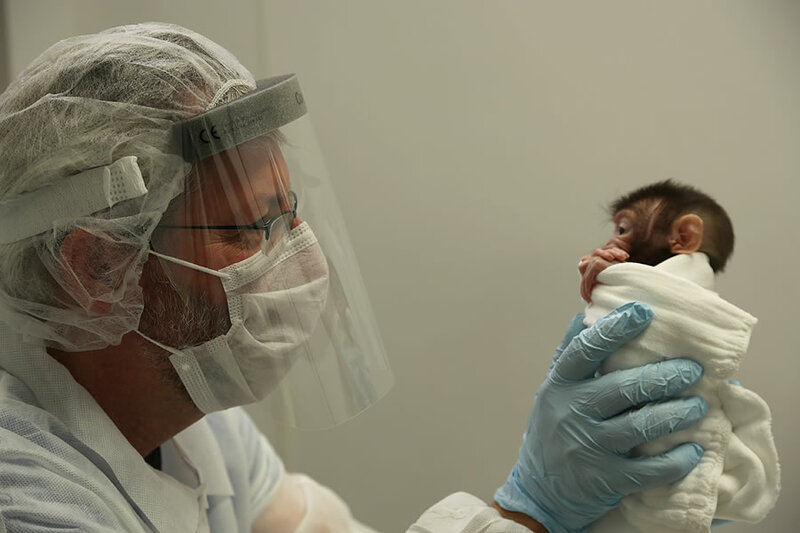 The final episode in the series, “Your Inner Monkey,” was filmed in part at the Washington National Primate Research Center’s Infant Primate Research Laboratory. While at our facilities the crew captured the outstanding research of Drs. Tom Burbacher, Kim Grant, Jay Neitz and Maureen Neitz. Visit www.pbs.org/your-inner-fish to find air dates of this PBS series in your area. The site also includes classroom materials for further discussion.